Airline Miles or Rewards Cards? We all like to get a good deal. We all want the biggest bang for our buck, right? Here’s one way to make your money work for you. Get something back. Get that good deal and more bang for your buck! 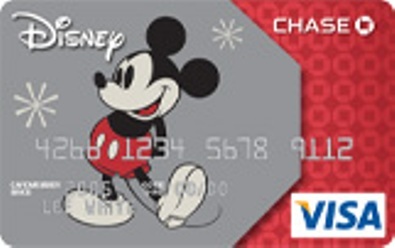 We got the Disney Visa back in 2002 when we lost our FCNB jobs and the Eddie Bauer rewards MasterCard along with it. We were in the market for a new Reward Visa so we started out with the Citibank Visa, but quickly realized we weren’t getting much out of it. After a year or so, we had accumulated $100 in a hotel gift certificate…whoopie. The Disney Visa launched in 2003 and we received an invitation that looked promising, so we signed up. We knew that we would take the kids to Disneyland some day, and the rewards would continue to accrue for FIVE years so that would give us plenty of time to get more for our money. There was no annual fee (yay!) and today, seven years later, it is still our preferred card of choice. We use it to pay for everything, even our utilities and doctor’s visits, because obviously the more you spend, the more points you accrue. Reward Points are worthless if you pay finance charges, so the key is to pay off the card every month. Never carry a balance over. If you are paying fees to have something, your money isn’t working for you. In 2007 we got the Costco American Express True Rewards card. No annual fee. Cash back each year. We didn’t use it to replace the Visa, instead we use it to pay for all of our fuel, restaurant and Costco purchases. Now we get cash back every year in the form of a check. No hassle- I don’t even have to request it- it just comes in the mail! Of course to have the Executive Member Costco membership is almost twice the price of a regular membership, but that also comes with a perk of getting 2% of your Costco purchases back, which covers our membership fee PLUS gives us even more cash back! In 2008 we made our trip to Disneyland. Using our rewards, we received four Southern California City Passes, two $25 Disneyland Giftcards for the kids to have, and we still had a few hundred dollars left over to buy our meals and souvenirs! We had accumulated over $1,000 in rewards. For FREE! In 2009 we looked at the Bank of America Alaska Airlines Rewards Card. We were planning on making a trip to Mexico in 2012 and figured we’d transfer our spending from the Disney card to the Alaska card. The reward: airline miles. We talk to people who use the card and they love it. The Alaska card charges an annual fee. AND, when you go to book your flights, you can’t use both the airline miles AND the companion ticket, you can only use one or the other. So for our family of 5, we would have to book our flights separately (hopefully on the same flight at least!) and we won’t necessarily be able to use all the perks available. And the perks aren’t free. The annual fee and companion ticket booking fee ensure that! Since we only plan to fly once every 5 years, we weren’t sure the card would work for us. Over a 5 year period, 2 trips for 5 to Disneyland, 1 trip for 5 to Mexico (flying on Alaska Airlines). I estimated our annual credit card purchases for those 5 years based on the previous two years of purchase history. I added in the annual fees (if applicable) for each card, totaled what would be spent for the three vacations and 5 years of normal purchases, and subtracted the rewards to see what the bottom line would look like. First up: the Alaska Airlines card. I pretended that we used it exclusively- to see how many airline miles we would accrue. The Alaska card also gives us a “free” companion ticket to use (it’s not totally free, there’s a booking fee) and we also received 25,000 bonus miles when we signed up. The result: If we make all our purchases with the Alaska Airlines card, we get some discounted airfare, but it won’t cover all 5 tickets to Mexico. Plus we have 5 years of annual fees to boot! Then I did the same with the American Express. Except this time it’s cash back, so I could use that to pay for either vacation. Free and clear cash with no restrictions. 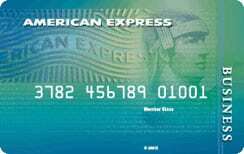 But American Express can’t be used everywhere. Then I used the same numbers pretending we exclusively used the Disney Rewards Visa. The rewards would cover the admission, food and souvenirs for at least one of the trips, if not partially both. The bottom line on all three cards…. The only difference being the additional annual fee paid for the Alaska Airlines Rewards Card…and that American Express isn’t accepted everywhere that Visa/MasterCard is. Remember, you don’t get anything for “free” unless there’s no annual fee and you aren’t paying any finance charges. If you can’t pay off your balance every month, there IS NO reward. Find a card with a cheaper interest rate and cheaper annual fee and make your money back that way. Second, look over your previous year of spending and see what rewards you will actually have available at the end of the year. Does it really work out for you? Or is there a better option? Our scenario told us that we should use whatever card we find the easiest to use. Right now it’s the Disney Visa and the Amex. We use a blend between the two. We stopped using the Alaska Airlines card and actually closed the account after we saw how little benefit we would actually get from it, and how frustrating it could be to book flights for the 5 of us. Plus I have a fundamental problem with how they run their program. A mile is not a mile. For example, ONE Round-Trip ticket to Cabo San Lucas Mexico uses 35,000 miles if you want a Super Saver Coach seat. Isn’t the circumference of the Earth something like 25,000 miles? How can Alaska Air call it a “mile” when it’s not a literal “mile”? I just have issues with that. I should only need 5,000 miles to fly round-trip to Cabo. Or I’ll give them a few extra thousand- let’s say 8,000 miles round trip. That means our family of five should be able to use 40,000 miles right? Wrong. ONE ticket is 35,000 miles. We ended our first year with 34,281. Actually, I found an explanation that says a mile is a penny. 35,000 miles is the equivalent of $350. So we’re all back to the same $1.00 = $0.01 in reward value. Ok, off my soap box. I do believe if you are someone who travels a lot, and if there’s just one or two of you traveling all the time, it’s probably a great card to have since you accrue much greater rewards when you fly, and you get the companion tickets and upgrade options. But since we only fly once or twice in a 5-year period…and have 5 people to arrange flights for- and we all want to be on the same flight sitting together…it’s just not a feasible reward program for us. No added bang for our buck. Actually more like a splat since there’s that darn annual fee again. We LOVE the Disney Visa. We went back to Disneyland again in 2010 and this time we used our Rewards to buy all our meals and souvenirs while in Disneyland. It was GREAT. No worrying about finding cheap food or starving between meals because we were on a budget- the Rewards were our “gift” and we were going to live it up! And that’s how we view our Disney Card….it’s a way for us to enhance our Disneyland visits. Previous Previous post: Have I turned the corner?